Just last year, Republican lawmakers were trying to tarnish First Solar, Inc, because the Department of Energy provided loan guarantees to the company. But politics couldn’t sink the word’s largest producer of thin-film solar panels; this week, the company announced that it set a new world record for cadmium-telluride solar cell conversion by achieving 18.7 percent efficiency. That still isn’t as efficient as some other types of solar systems, but because thin-film solar panels are cheap and easy to produce, it represents a major breakthrough. 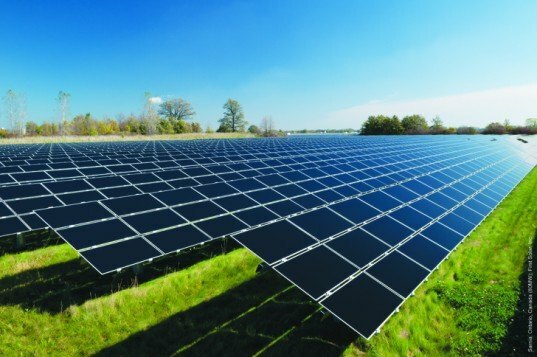 Read more: First Solar Sets a New Record for Thin-Film Solar Efficiency — Inhabitat.